From Las Vegas to Macau, from Monte Carlo to Atlantic City, roulette has been the backbone of the casino industry for nearly 200 years and does not look like slowing down. It has easy to learn odds with the table marked out for each preferred bet. Even today roulette has moved effortlessly into modern times with the advent of computers it is the number one earner for online gambling sites. 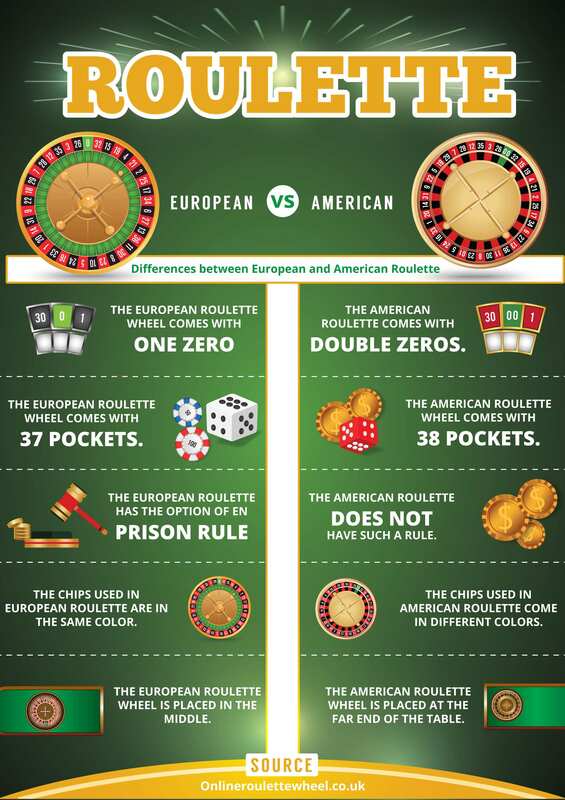 Discover the differences between American and European roulette in the following infographic from OnlineRouletteWheel.co.uk.